“Please meet us at The Lodge,” said the phone message from Marketing Communications Consultant, Yvonne Loh, as I make my way to meet her and her team at Ponderosa Golf & Country Club. This resort was among the first in Johor to buy a bulk order of my book, My Johor Stories: True Tales, Real People, Rich Heritage, at my book launch event last year. Their resort accommodation is a boutique hotel with just 14 rooms and two suites and Yvonne told me, a copy of my book will be placed in every room for the guests’ reading pleasure. Located just a 15-minute drive from JB city center, Ponderosa Golf & Country Club is endowed with an 18-hole golf course, a 16-room Mediterranean-style lodge, sports and recreational facilities and a spa. Ponderosa has a familiar ring to its name because our grandfather or Ah Kong, introduced us to the Wild West by watching John Wayne movies at Rex and Lido cinemas, and from television series in the Cowboy-Red Indian genre when my siblings, cousins and I lived with our grandparents at No. 154 Jalan Ngee Heng during our school-going years. Ponderosa was the name of a huge ranch in Nevada, owned by Ben Cartwright and his three sons, Adam, Eric “Hoss” and Joseph, better known as Little Joe – fictional characters from Bonanza, our favourite long-running TV series (1959 to 1973). I remember joining Ah Kong in front of the Black & White box TV to watch the regular screenings of Bonanza, Wagon Train, Rawhide and Gunsmoke, among other popular Western TV series. I can even recall the unforgettable opening scene of Bonanza that featured a map of the Ponderosa Ranch, gradually burning through from its center to the mesmerizing musical score – an instrumental piece played on the base guitar to a beat reminiscent of galloping horses! Unlike other TV series, Bonanza was more than just a cowboy show with shoot-outs between daring gun-slingers because it often had a distinct moral-of-the-story and family values to share with viewers. Of course, we each had our favourite characters in the show and mine was the cute but impetuous youngest son, Little Joe, a role played by a young Michael Landon. I remember being fascinated at how the Cartwright family was served by their cook named Hop Sing, a Chinese immigrant character dressed in Chinese sam-foo and who even wore a pigtail. He was considered as close as a family member and came across as a faithful and considerate character. Hop Sing often added comedy relief to the drama but when he was upset, he would mutter Chinese expletives! In Johor Baru, we too have a Ponderosa and while ours is not a ranch, it is a golf and country resort established some 25 years ago, co-owned by the prestigious Kuok Group, Lee Rubber Group and Tai Tak Group of companies. I’m sure those of us who are familiar with Bonanza, the TV series, will agree that the owners must be the show’s Number One fans because they formed a company which they named, Bonanza Resorts Sdn Bhd. While their golf and country club is named Ponderosa, the adjacent property developments are Ponderosa Woods (semi-detached houses) and Ponderosa Avenue, a commercial sector. As I mull over these thoughts, I park my car and take a slow walk to The Lodge, the building where the rooms, gym and swimming pool are located. I can see the wide arch windows of the nearby clubhouse, separated from The Lodge by a lush patch of grass which I later find out, happens to be called The Paddock! I’m greeted by Sports & Recreation Manager, Jamie Lau, and when Yvonne joins us, we walk up a flight of stairs to reach the accommodation lobby and reception. “There are no elevators,” said Yvonne explaining that the building was designed as a sprawling Mediterranean lodge with a few rooms for low density accommodation. My eyes are riveted to the colours from the stained glass windows by the side of the staircase landing and I pause to take in the polished wooden bannister and terracotta floor tiles, all reminiscent of a rambling double-storey lodge within a ranch. Jamie, who looks after the accommodation in the resort, tells me that most of their guests are from abroad and when the Café at the clubhouse is booked for a wedding venue, the rooms are convenient accommodation for visiting friends and family. Before the team members join us in the suite to witness my book signing, Yvonne tells me that out of the all the books they have placed in every room, they managed to retrieve only six books because all the other books have been removed by guests! While it is regretful that the books have gone missing, Yvonne is convinced that it was only because my book is so irresistible and un-put-down-able that guests who started reading, had to take it along to continue reading my interesting collection of stories! She assured me that the resort will place another order to replenish the stock of books for the reading pleasure of their room guests. After I autographed my books and met the team members and Heads of Departments, Yvonne invited me to join general manager, Ivan Teo, for a light lunch at their Chinese restaurant. Over a Chinese set lunch together, Ivan shares with me some of the highlights of the latest developments in this neighbourhood like sharing the clubhouse facilities and organized activities with residents in Taman Redang and Redang Lakeview to create a closer community. Ivan explains that he holds the dual portfolio as general manager of the Golf & Country Club as well as for the Residential & Commercial Development arm of the company. When he presented me with his name-card for the property development arm, I smile with full conviction that the owners are truly fans of the Country & Western genre because the name of this company is registered as, Rawhide Sdn Bhd! We share a laugh about it and Yvonne tells me that the meeting room opposite Hop Sing restaurant is known as The Tavern while the ballroom which seats 280 guests is called, Trading Post. She says, before the Food & Beverage outlet in the Sports & Recreation Center was renovated into the gym, it used to be called, The Trough! While the trough may be for watering tired horses, she tells me that the pub in the clubhouse – the watering hole for tired ‘cowboys’ – used to be called Cantina before its recent name-change to The 19th Hole, one with a golfers’ identity. Ivan, who is also Chairman of the Malaysian Association of Hotels (MAH) Johor Chapter, then goes on to discuss some ideas on creating more attractive tourist destinations here. We also talk about the recent news that announced the building of a bridge valued at RM41 million to link Permas Jaya to Taman Molek. We agree that when this happens, it will certainly make neighbouring Taman Molek and Ponderosa developments more accessible. Before I leave Ivan and Yvonne, and an informative and interesting time at Ponderosa, they reiterated their intention to replenish the stock of my books for their rooms and suites. Thank you Ponderosa Golf & Country Club, for your generosity in sharing My Johor Stories with your room guests! Thanks to your interest and support which has helped to put my book, My Johor Stories: True Tales, Real People, Rich Heritage, among other popular titles in the 2017 MPH Best Non-Fiction list. “What better time for a leisurely buffet dinner than on a weekend evening?” It’s just a rhetorical question because we are all, already in agreement. My friends and I enjoy dining at buffets to have tasting portions of a wide variety of food items and we are still talking about the good dining experiences at various buffets presented in hotels here. So when I suggest dining at Café BLD, the response is unanimous. I remember dining at Café BLD, not just during my hotel review stay at the Renaissance Johor Baru but also on other occasions when organizers hosted their events in this hotel. I recall the various food sections in the café, including the outdoor section of the buffet that serves grilled items, and wonder if there are any changes since I last dined here. It’s a good question as she wants to have an idea about the café or restaurant that we will be dining in. In fact, I asked the same question during my hotel review so I’m ready to furnish her with an answer. Café BLD is an all-day dining restaurant and is aptly named “BLD” because it serves freshly prepared meals throughout the day where meals may link from Breakfast, Lunch to Dinner! Satisfied with my reply, my friends and I arrive by 6.45pm for an early start to experience and enjoy the International buffet spread. This month, the buffet features a section for Peranakan cuisine. While we enjoy buffets, we have an ethical practice where we strictly adhere to the principle of: Take only what you can eat, because we can return countless times to the buffet to take more of our favourite items and avoid any food wastage. At a buffet, we practice: Take only what you can eat! After being shown to our table, we take our usual slow walk around the various sections to explore and discover the food options before helping ourselves to our choices. I like how the names of the items are written on small chalk boards so that diners have a clear idea of how the meat, poultry or vegetables are prepared. In the Western section, I spot Chef James carving and serving portions of roasted leg of lamb to diners and he calls out an offer, asking if I needed any help. Once he’s done serving the queue for roasted lamb, he kindly points out to me, the nearby sections for Indian cuisine, the Chinese section, the noodles counter and the featured Peranakan dishes. Among other Peranakan dishes, I see Nyonya fried bee-hoon or vermicelli, Sambal bendi or okra, Assam fish and Lemak prawns. At the soup counter, there are two soup choices but I only have eyes for the Itik Tim, a comforting Peranakan recipe for clear soup brewed with main ingredients, duck and salted vegetables. Another section is devoted to appetizers like salads, ulam, pickles and a variety of crisps or keropok including the emping belinjo – a tasty crisp with a slight bitter after-taste. Besides slices of fresh spring rolls, there are stuffed tofu and even a ceramic bowl, complete with spatulas for diners to toss the fresh vegetables with peanut sauce to create our own portion of gado-gado, an Indonesian-inspired salad. I watch as the staff at the Japanese counter top-up slices of fresh sashimi and freshly-made rolls of sushi onto the platter and remind myself to save some space for this. At the seafood-on-ice section, the bright orange shells of plump prawns are both eye-catching and appetizing. Next to the segments of fresh lemon, a bottle of Tobasco sauce is chilled along with the split fresh oysters and mussels on ice. They, however, missed out on labelling some sauces and condiments here and when I venture to dig into the jar, I’m pleased to discover a tasty pesto sauce! During the Peranakan cuisine promotion, there is an entire section devoted to a range of Nyonya kueh and chilled desserts like cendol. I turn around to watch as the staff skillfully prepares the pancake and rolls it up, stuffed with a generous portion of shredded coconut flavoured with Gula Melaka or palm sugar, to make Kueh Ketayap. “You must try our Kueh Ketayap and Pisang Goreng,” said Assistant Director of Food & Beverage, Suresh, who joins me at this live-cooking station. Why not? So while Suresh looks on, I help myself to two freshly-fried bananas and reach for the spoon to drizzle spicy dark sauce over them. While I’m busy with surveying the buffet, watching the live-cooking and chatting with friends in the café, my dining companions are steadily progressing with their meal. By the time I finish enjoying minute portions of the main course items, Emily, who has explored the dessert section, volunteers her advice on the semolina pudding – (which she thinks I will like!) and is situated next to the bread & butter pudding. Florence also reminds me to help myself to the slices of Kek Batik, a non-baked dessert made with traditional Marie biscuits, layered with a chewy blend of Milo and chocolate. “Take two slices,” she gently suggests – probably because she knows once I have tasted it, one slice will not be enough! So I’m off to help myself to a bit of the semolina pudding which Emily says tastes like a type of kesari, an Indian dessert, but without the fragrant spices! The watchful eyes of the serving staff are upon us while we are exchanging comments on the desserts, and soon the young lady approaches our table with a request to place an order for coffee or tea. I’m delighted that coffee comes with the buffet and Florence reminds me about how it will go down so well with my Kek Batik! At this hour, I only drink decaffeinated coffee so I ask the staff if they serve decaf coffee. She hesitates briefly as the thought registers and when she replies, No, they don’t stock decaf coffee, I decide not to have a hot beverage after all. It’s only a minor setback but I would rather enjoy a good night’s uninterrupted rest than risk losing sleep after drinking coffee at this hour. So we place our orders and ask for a side of warm milk. I thank her with warm appreciation as she serves our decaf coffee and when asked, she explains that she’s a trainee assigned to the hotel from a college for hospitality studies. At the first sip, I’m pleasantly surprised at how it tastes so strong and so delicious! I call the young lady over again to ask if she is sure the coffee is indeed decaf – because this brew tastes so good and quite unlike the usual decaf. I’m sure she is aware that I’m only teasing but her eyes are wide and smiling as she confidently assures me that it is indeed decaf coffee. The next morning I checked with my friends and am pleased that no one lost any precious sleep from drinking that delightful cup of decaf coffee! Thanks, Hanisah. Your can-do attitude is the icing on the proverbial cake for our weekend buffet experience at Café BLD. With Good Friday (March 30) just around the corner, Café BLD has planned a traditional Good Friday meal with a no-meat option. Meanwhile, the popular weekend International buffet spread is still available for diners to enjoy on this special weekend. Every Friday and Saturday at RM123 nett per person. On Easter Sunday (April 1) enjoy a traditional feast for this holiday weekend and have dinner with some fun in games and activities for all ages. Only RM123 nett per person. Café BLD is located at the lobby level of Renaissance Johor Baru Hotel. For reservations, Tel: +607 – 381 3322. The Apartment TV series filmed in Johor - again! I’m sitting in a packed event hall, among media partners invited from Kuala Lumpur, Singapore and Johor, waiting to watch the first episode of the sixth season of The Apartment, the biggest design competition in the world. While the backdrop design aims to announce the world premiere of The Apartment: Passion for Design, all eyes (cannot help but) are riveted to the larger-than-life image of Laurence Llewelyn-Bowen, dressed in his signature shade of pink, three-piece suit, and holding his stick brolly across one shoulder. The man himself is in the hall, unmistakably identified by that bright outfit, standing out in stark contrast next to the other gentlemen in their sedate suits. I met the man and the contest winners last June when I was privileged to join a media preview of the final episode for season five of The Apartment: Rising Stars Edition that was filmed on location at UM Land’s Bandar Seri Alam in Johor. Now in season six, 12 contestants from around this region will battle it out to become the next interior design superstar and as for me, I’m simply delighted that UM Land properties in Johor are again featured to a worldwide audience! 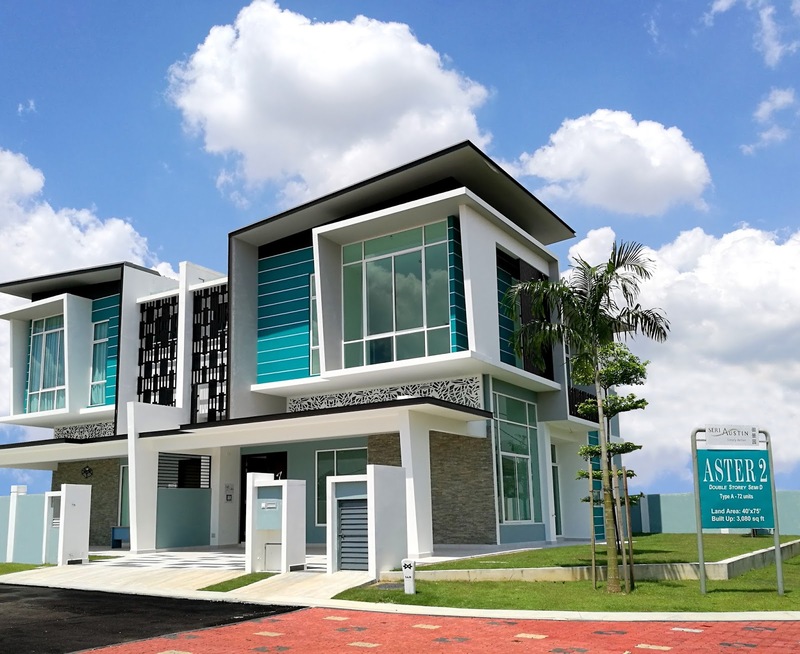 This season of Asia’s premier design competition show will feature UM Land’s most established township, UM Land Seri Austin, where contestants will transform the interior of luxurious double-storey semi-detached houses, dubbed villas, in the Aster 2 development. Aster 2 prides itself as the development designed with the first Smoke-Free Town Park and the first Smart Healthy City as well as designated bicycle lanes. 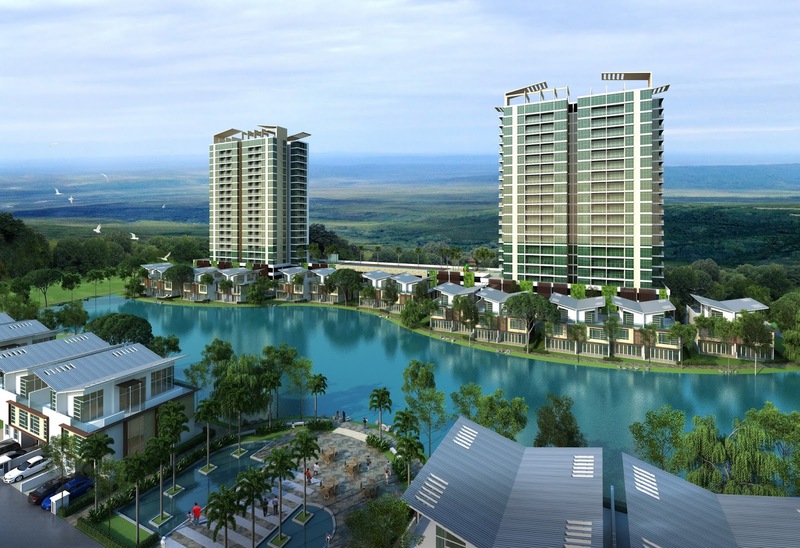 Contestants in this season will also stand to win the biggest prize in the history of the series – the deed to a luxurious apartment at D’Lagoon in UM Land’s latest luxury development by the lake in Iskandar Malaysia, worth over USD140,000. For the uninitiated, The Apartment is a television series that showcases the talents of contestants who are amateur designers and who must brave razor-thin budgets and exacting time-frames to create stunning one-of-a-kind rooms, all under the watchful eyes of a panel of judges led by International Design Superstar and principal judge, Laurence Llewelyn-Bowen. In the 10-week filming period, the contestants are given challenges to complete designing various rooms in the villas and will gather in front of a Design Court for the judges’ critique and advice, at the end of each challenge. There will be a jubilant winner in every challenge while the penalty for the one who fails to meet the judges’ criteria, is to leave the show and go home. As in every reality TV series, the audience will get to know the contestants and root for their favourites – and inevitably get addicted to the shows – as they follow the exciting episodes where the teams and individuals rise to the given challenges. The Apartment: Passion for Design features a judging panel of esteemed celebrity designers including award-winning designer and author, Jamie Durie, as returning host and mentor, and Llewelyn-Bowen as principal judge. Two new judges who join the panel this season are Filipina interior designer and influencer extraordinaire, Cat Arambulo, and one of New York’s most influential and dynamic designers, Tyler Wisler. “I’m incredibly proud of our latest season of The Apartment,” said founder of Imagine Group Entertainment and the show’s producer, Riaz Metha. “Our cast is better than ever, with a fiery chemistry between them that will keep viewers entertained every minute of the show as these budding designers do whatever it takes to succeed,” he added. Riaz also said that the sheer drama and entertainment from this season is beyond anything he has seen before. AkzoNobel Paints South East & South Asia, Middle East, Managing Director, Jeremy Rowe, fondly known as Captain Colour, said he was pleased to see how the contestants used Dulux paints and turned a blank canvas (as it were!) into a creative space. In the series, Rowe offers his advice to contestants in their selection of paints to meet the various design challenges and enjoys watching the different ways they use the products. “The strategic partnership with this reality series showcases the beautiful landscape of UM Land Seri Austin and Johor as one of the most livable cities in the future to potential investors and buyers from around the world,” said UM Land Seri Austin Chief Executive Officer and Group Director of Townships, K K Wong. “It has given us the opportunity to put UM Land on the international map once again as we reaffirm our sustainable developments that are of high global standards,” he added. Then it’s time for our preview of Episode One: the lights dim and the all eyes are on the screen in front. In the semi-darkness, someone hovers nearby – and she passes me a bag of popcorn to munch while I sit back to enjoy the show! Watching the show on the big screen is truly a different experience. The format is incredibly engaging and entertaining, and I agree with Riaz that they have certainly taken the series to the next level. As I watch the drama unfold and emotions flaring between the contestants, I recall Riaz’s comment that he felt sorry for the contestants who had to work so hard, from 6am to almost midnight! Riaz also mentioned that this season’s episodes are also accessible through the digital platform for fans to view mini episodes on their mobile devices. These are stories told through the eyes of the contestants, with behind-the-scene shots for viewers to get to know the contestants better. 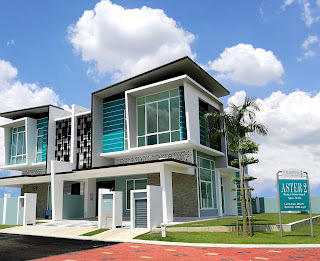 I enjoy how the camera panned across the landscape to showcase UM Land property developments and the interior of the Aster 2 villas that feature architectural glamour – where the well-thought-out property is designed to be functional and needs no renovation. This is the second season where The Apartment featured UM Land developments in Johor and I feel a sense of shared pride because once again, our hometown is being seen by viewers the world over! I watch as the contestants head out to the various destinations to pick and buy furniture and fittings to decorate the room according to their individual designs and am pleased that these décor merchants are also being featured in the series. When it was time for the contestants to head to the Design Court, the camera not only showed the drama and excitement on the set but also the destination in Iskandar Malaysia where this set was designed. Once again, I cannot help but feel a strong sense of pride because it was aptly held in the facilities within our own Pinewood Iskandar Malaysia Studios! No, I’m not sharing any more details. Watch it for yourself and enjoy identifying the familiar sites here as the series was filmed entirely on location in Johor! Stay tuned to The Apartment: Passion for Design, a TV series of 10 one-hour episodes that premieres on Astro’s AXN Channel starting from March 25, every Sunday at 8.05pm. This March, BFM 89.9 radio station had arranged to meet with Aunty Sylvia for an interview to produce a video on her as part of the station’s celebration of International Women’s Day. My aunt mentioned it in passing but I had forgotten until she had completed the interview with BFM. I remember she sounded happy in her phone call, saying that the interview was done and continued with telling me about a caterer in Kuala Lumpur, aptly named Johor Cravings, who served Johor specialties. She described the Laksa Johor and Kacang Pool ordered in for dinner the previous night (as it was only available through deliveries!) and that it tasted quite authentic. This sort of conversations are quite typical with my aunts who now live in KL and who often longed for an authentic taste of Johor food. Whenever they discover something interesting and authentic, it was like a prized treasure in their neighbourhood because it means that they need not come all the way back to Johor for a taste of their favourite food! Then early this week, I received a message from Bahir Yeusuff, a producer at BFM, seeking permission to use photos that he saw in my post titled, Badminton Glory Days. He explained that BFM had interviewed Aunty Sylvia several weeks ago and as she had spoken about her father and his role in her sports career, they were considering the use of my photos in their video. I know this short video was scheduled to be released by the end of the week, so I had a quick chat with aunty to let her know that BFM had approached me for the use of photos. She was surprised that they needed more photos because (she told me) when they met for the interview, aunty showed them her impressive collection of old newspaper clips and old photos, which she thought should be sufficient for their video content. It was indeed sufficient because Bahir followed up with another message to inform that they will not be needing my photos after all. He thanked me and said when the video was ready, he would share the link with me. I’m familiar with my aunt’s career in sports as my siblings and I lived in grandfather’s house at No. 154 Jalan Ngee Heng (Where champions were born) along with our uncles and aunts, during our school-going years. While badminton fans may know Sylvia Ng as a sports star, we know her as aunty, the youngest sister of my mum, her eldest sister. Her sports achievements since 1969 when she won Gold in the SEAP Games till her retirement from international competition at the pinnacle of her career in 1980, are certainly too many to be mentioned in a short video. I cannot forget sitting down with our cousins to design posters using crayons and coloured pencils to wave and welcome aunty back to Johor Baru on her return from the 1978 Commonwealth Games held in Edmonton, Canada. Cousin Bernice, who viewed the BFM video from London this morning, was thrilled to see herself (then a cute kid!) 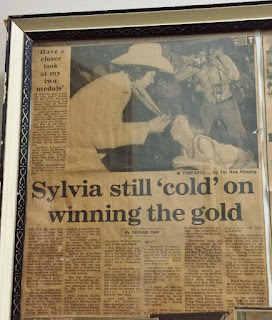 admiring Aunty Sylvia’s Gold and Bronze medals in a photo in an old newspaper clip, that appeared in the video! “So proud of her! Even I was featured,” said Bernice, whose family was then living in Rawang and they were at the airport in Kuala Lumpur – it was still Subang Airport then – to welcome aunty back from the Canada – KL sector. This proud and exciting achievement is stuck in my memory because she not only participated in the Singles and Doubles games, aunty was also the nation’s flag-bearer for the 1978 games’ Opening Ceremony. In the Doubles team event, they clinched the Bronze medal. For the individual event the following day, she met compatriot, Katherine Teh, for the Singles match and won the Gold while Katherine had to settle for the Silver medal. That day, 12 August 1978, Aunty Sylvia made history by becoming the first Asian woman to win the Commonwealth Games, Singles Gold. She was also the first Malaysian female athlete to clinch a Gold in the history of the Games! For her outstanding achievements in badminton, aunty was recognised as Sportswoman of the Year twice – once in 1975 and later in 1978. For her excellent service to Johor, aunty received a State Award, the Ibrahim Sultan Medal Second Class or PIS II, in 1978. In 1982 she was also decorated with a Federal Award, the Ahli Mangku Negara or AMN. 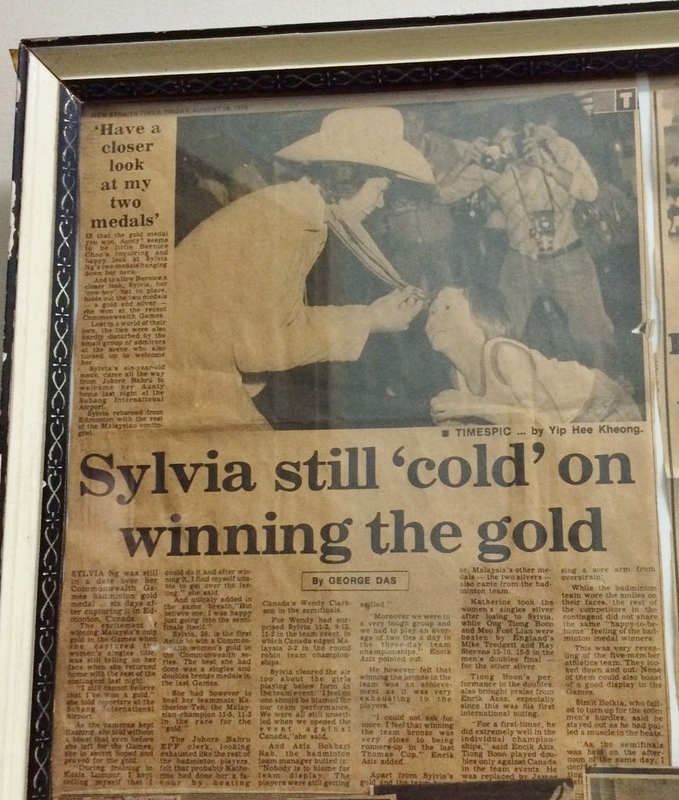 Aunty Sylvia was inducted into the Olympics Council of Malaysia (OCM) Hall of Fame in 2004. While aunty retired from competitive badminton, she continued to represent the nation in the torch runs at the start of the XV SEA Games in KL (1989), the IV SUKMA Games in Johor Baru (1992) and the XVI Commonwealth Games in KL (1998). In 1998, aunty met the Queen – Yes, Queen Elizabeth II – at Buckingham Palace, London, when she represented the nation at the launch of the Queen’s Relay on 9 March. Thanks BFM 89.9 radio station, for this short video onSylvia Ng. Thanks to you, her fans are able to enjoy a glimpse of her again, long after her retirement from the sports arena. Happy International Women’s Day 2018, dear Aunty Sylvia! Mezzotono live in JB - again! Desaru Coast offers jobs like no other!